Planning your own destination wedding can be overwhelming and at times very confusing. Mountainscape Weddings is here to help make the process as easy as possible for you! 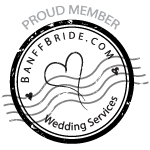 We have been planning Rocky Mountain weddings for over 10 years and our experience will help you achieve your dream wedding. 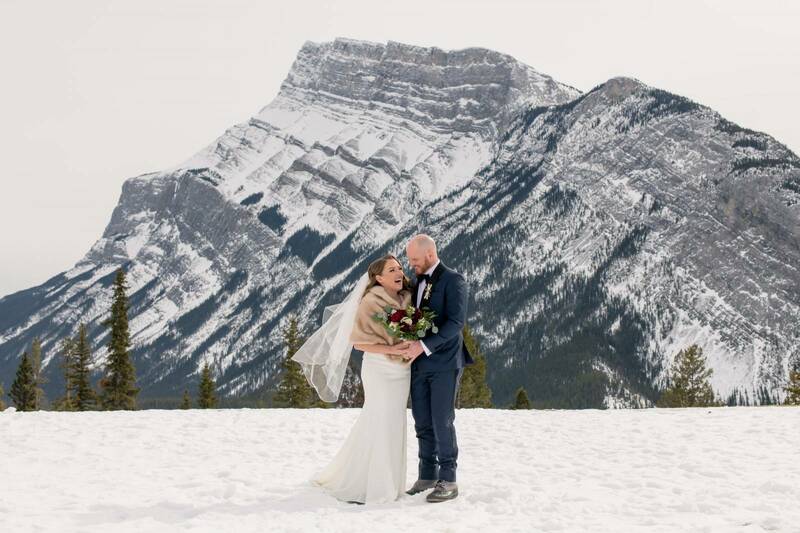 Read what some of our couples have to say about working with Mountainscape Weddings below. Wow- Thank you for helping us make our dream wedding a reality. We could not have done it without you and your team! Everyone loved spending time in beautiful Lake Louise, and even with the weather, it all turned out perfectly. It is also pretty cool that we can say that it snowed on our wedding day! You were such a big help in keeping everything organized and flowing as things changed order or as decisions had to be made. We look forward to returning to Lake Louise in the future to celebrate our anniversaries and remember the beautiful memories we all created there. Thank you and best wishes! Mike and I wanted to thank you for everything that you did for us for our wedding weekend! We feel like you went above and beyond to make our day everything that we were hoping for. You took care of every detail, and it allowed us to truly enjoy our day and not worry about anything! (And as someone who worries about everything, this means so much to me!) You pulled everything together beautifully and we are so thrilled with how our wedding turned out. Thank you again for everything! My wedding was a week ago today on the 26th of August and I was BLOWN away! We did the Full Planning package along with our flowers and decor and I couldn't have been happier with the results! Everyone who attended kept commenting on how it's been the best wedding they have ever been to. This wouldn't be possible without Shannon and her team, they are truly the best at what they do! Though my husband and I knew we wanted to create an awesome experience for our guests at our destination wedding we did not want to (nor did we have the time to) get into the weeds of wedding planning. The team at Mountainscape did an amazing job taking our vision (or lack thereof) and turning it into a reality. After the wedding our guests were raving about the décor and the seamless transitions from one location to another as there were several moving pieces on our wedding day. Due to the hard work of the team at Mountainscape (shout out to Katie!) we were able to relax and truly enjoy our wedding day, celebrating with all of our friends and family who traveled so far to be with us. We wouldn't have changed a single thing! “Above and beyond” is how I would describe my experience with Shannon. She has far exceeded any expectations we had, and she truly made our special day unforgettable. Our guests even noticed how attentive, kind, and organized Shannon was throughout the day. She made us feel like royalty! If you have the privilege to have her work with you we strongly recommend you do, she will not disappoint you! Thank you for your efforts in making our wedding day so perfect! When we first met you, we were totally blown away; we knew immediately that we had made the right choice. We will forever remember our new day, new year, new life- July 21 wedding- and we are thankful it was in the hands of our newest friend! Thank you once again for a fantastic wedding! It was the perfect day and we couldn’t have done it without you. I so very much appreciate all of your help and everyone involved was very impressed with you. Oskar & I want to thank you for everything you have done. We really appreciate it. You made our day absolutely amazing :) I will remember this day for the rest of my life. Thank you again. Thank you so much for the excellent job you did for us on our wedding day. We’ve had nothing but compliments! We were extremely appreciative of your availability in helping us with the small final details, and the extend to which you catered to our needs.